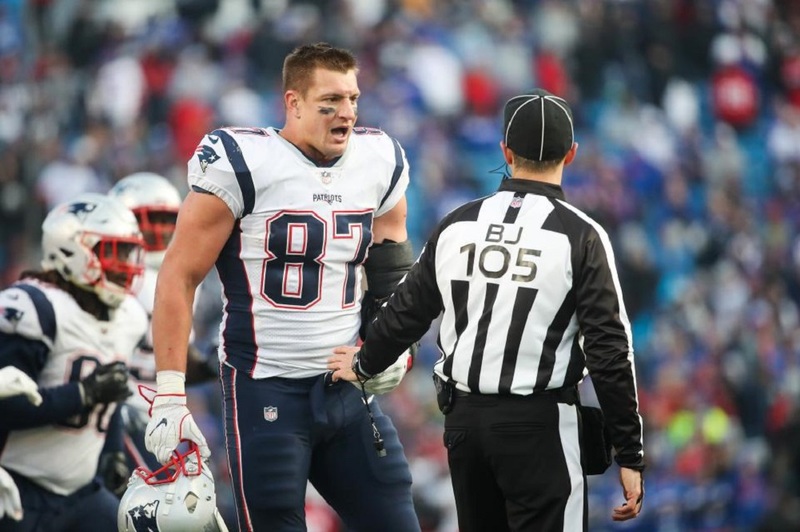 Rob Gronkowski announced his retirement from the NFL on Sunday, but his agent told on Monday that he wouldn't be surprised if Gronkowski reconsidered in the future. "Rob is 29 years old. He's still a very young man. It wouldn't shock me if he has a change of heart, if he feels great and he decides that he wants to play football," Drew Rosenhaus said on Get Up! "But this is just me talking. This isn't Rob. And I don't want to create any unnecessary expectations. Rob is a very unique personality. If the team was struggling or they needed him at some point next year, and let's just say hypothetically Tom Brady gave him a call and said 'Rob, I need you,' I wouldn't be shocked if he came back to play a few games." Asked what Gronkowski's reaction was to the possibility, Rosenhaus said: "He really was just laughing about it. He pretty much told me he's done with football at this point and he's ready to move on with his life, and football is really a thing in the past. But young guys, they can change their mind. You never know." As for what Gronkowski plans to do now, Rosenhaus said, "Nothing. A lot of fun. A lot of rest. Good times. Relaxation. Partying. Being himself. Being Gronk. Eventually we could see him doing TV, acting, a whole number of things. Appearances. Endorsements. He's one of the biggest personalities. He won't disappear. He's going to have fun for a while, but he'll be back in the limelight in the near future, I believe."